Interest levels in people analytics and data driven HR is soaring and whilst adoption levels are not increasing at the same dazzling rate, more and more organisations are developing their capability in this area (see recently published research by IBM, Deloitte, i4CP andEIU/SHRM). The skills and capabilities required for analytics have not traditionally resided within HR. For many HR functions analytics represents nothing less than a cultural shift and the need to embrace a fresh mindset. In short, analytics isn’t easy (though perhaps not as difficult as some may think), and as such many HR professionals are still struggling to get to grips with it. It is perhaps not surprising therefore that I am continually asked questions like: Where do I start? How can I find out more? Are there any courses I can take? Which organisations have already mastered it? What projects should we start with? The first commandment of analytics is ‘thou shalt start with the business problem’. Successful people analytics teams help solve business rather than HR problems. This means understanding the business. What are the challenges keeping your CXO awake at night? Think sales productivity, product quality, customer retention and risk. This is where the company makes money and what determines its ultimate success. Learn the business and when you are ready to commence your analytics initiatives, focus your efforts here and you can expect to flourish. Curiosity may have killed the cat, but it’s an essential ingredient for analytics. There are a plethora of books on getting familiar with analytics – here are four to get you started: ‘Keeping up with the Quants’ by Tom Davenport (widely recognised as the Godfather of analytics); ‘Work Rules!’ by Google’s HR Chief Laszlo Bock; ‘HR Analytics: The what, why and how’ by Tracey Smith and ‘Storytelling with Data’ by Cole Nussbaumer Knaflic. Also keep a look out for ‘The Power of People: How Successful Organizations Use Workforce Analytics to Improve Business Performance’ by Jonathan Ferrar, Sheri Feinzig and Nigel Guenole, which from the preview I've had promises to be one of the best yet - it is published on December 5th 2016. Likewise, there are a number of superb blogs on people analytics that anyone with interest in the subject should subscribe to. Here’s a few to get you started: iNostix’s HR Analytics Insights Blog; Google’s Re:Work; OrgVue’s HR Analytics Blog; Morten Kamp Andersen’s All About Human Capital; the new and rather good Analytics in HR, and Andrew Marritt’s thoughtful articles on LinkedIn. Whilst the majority of LinkedIn groups are about as useful as a cat flap in an elephant house, this is thankfully not the case when it comes to specialist people analytics groups. My favourite two are: Measuring Human Capital and People Analytics: Data Driven HR which are managed respectively by Jeremy Shapiro and Barry Swales, each have over 3,000 members and both feature a regular supply of thought provoking discussions. A great way to keep up with the latest news and discussion points on people analytics is to follow key influencers on social media. There are too many to list in this article, but here's a bunch to get you going (all links are LinkedIn profiles, do search them out on Twitter too): Luk Smeyers, Jeremy Shapiro, Andrew Marritt, Mark Berry,Jonathan Ferrar, Josh Bersin, Dave Millner, Evan Sinar, Tracey Smith, Max Blumberg, Al Adamsen, Andrew Gadomski, Patrick Coolen, Greta Roberts, Martin Oest, Alec Levenson, John Boudreau, David Creelman, Ian Bailie, Morten Kamp Andersen, Mike West, Manoj Kumar, Richard Rosenow, Andrew Spence, Damien Delalla and Michael M Moon. Not everyone can be a data scientist, but that doesn’t mean taking an online course won’t accelerate your progress. Earlier this year, I took the Wharton People Analytics course on Coursera. It only took a couple of hours per week for four weeks and I thought it was well worthwhile. You can check out some other courses here. HR is renowned as a function that is pretty adept at networking, so get those black books out and speak to colleagues who have already embarked on the yellow brick road of people analytics. There are a number of people analytics specific networking groups that have cropped up, and collaborative initiatives like HR Open Source (#HROS) can also help you learn, share and explore. Speaking of networking, there has been a phenomenal rise in the number of conferences either dedicated to people analytics or where the subject features prominently on the agenda. Check out my recent blog: 23 People Analytics Conferences to attend in 2016/17 to find one (or more) that suits you. Without executive involvement, your analytics adventure may be condemned to a life of obscurity. As Luk Smeyers has written, if based in HR people analytics simply has to report to the CHRO. Get your CHRO excited and get them involved. S/he should have a good understanding of the key business challenges, the influence to ensure that compelling stories are delivered to the right business leader and, crucially, that changes are then implemented. With a recent survey finding that 80% of executives saying their company cannot succeed without an assertive, data-driven CHRO, it may even be good for their career too. That’s the self-interest box ticked then! By now you should have a detailed knowledge of the business (see Point 1) and a good understanding of the most important challenges your company faces. How many of these can be solved (or partly solved) through analysing people data? Are there any quick wins? Hone your abilities to ask the right questions and to identify those issues that have the biggest potential impact. Recognising that the first 100 days are critical to the success of any business initiative, aspiring people analytics leaders can seek guidance from thiswhite paper from the IBM Smarter Workforce Institute to inform and support their initial strategy. Make friends with analytics practitioners in Finance, Marketing and IT. Their experience in obtaining, cleaning and analysing data will be invaluable in giving you a head start. Moreover, you will need to combine people and business data to solve business problems, so don’t be shy get out of the HR bubble! Depending on how bought in your CHRO is, the level of initial investment you are able to secure and the skills you are able to borrow from outside HR, you will need to build a team. The skills and capabilities required are diverse, so this is not an easy undertaking and will likely be an iterative process. See more on building a team here. We all love a good story, don’t we? Successfully driving through initiatives linked to people analytics is no different. Being able to interpret the data, distilling it into insights that unlock the business problem you are trying to solve and then creating a compelling story to frame it are all absolutely key. The quality of your data or incisiveness of your analysis doesn’t matter if you are unable to make it resonate with your business stakeholders. For more on storytelling, I highly recommend watching the video below featuring Prasad Setty, VP of People Analytics and Compensation at Google. Some of the most exciting and innovative work in HR technology is being done in the field of people analytics. New technologies are cropping up all the time in what is a really nascent space, but with careful scrutinisation the budding practitioner can harness some of this capability to help enable and speed their progress. Twenty to check out, in alphabetical order and all offering something different are: Aspen Advisors, Crunchr,Culture Amp, Glint, HiQ Labs, HireVue, IBM Kenexa Talent Insights, Joberate,Kanjoya, Launchpad Recruits, One Model, Organization View (inc. Workometry),OrgVue, Pearl HPS, pymetrics, Qlearsite, Saberr, Talent Analytics, Trustsphere, andVisier. 21st Century HR isn’t about playing it safe, it’s about being bold and in no area is bravery arguably more important than people analytics. Not every initiative will succeed. Get used to the occasional failure, but stay the course, keep focused on the business and you will succeed more often than not. David is a respected influencer, writer and speaker on people analytics and the future of work. He was recognised as Best Writer at the 2015 HR Tech Writers’ Awards, and was awarded one of ten LinkedIn Power Profiles for HR in January 2016. David’s role as Global Director, People Analytics Solutions at IBM enables him to help clients apply an analytical, insight led and business outcome focused approach to their talent strategies and people decisions. David also speaks at and chairs industry events. He has been co-chair of Tucana’s People Analytics Global Conference in London for the last two years, was one of the judges of the 2016 Workforce Analytics Excellence Awards, is a keynote speaker at the Workforce Analytics Summits 2016 series in Amsterdam, Sydney, New York and Singapore, is a member of the HR Tech World Blog Squad, a #HROS Volunteer and moderated a session at Beyond - The Global HR Leadership Forum in Amsterdam in June. 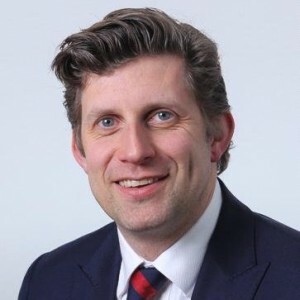 Connect with David on LinkedIn, follow him on Twitter and read his blogs here on LinkedIn and also on HR Tech World and ERE.